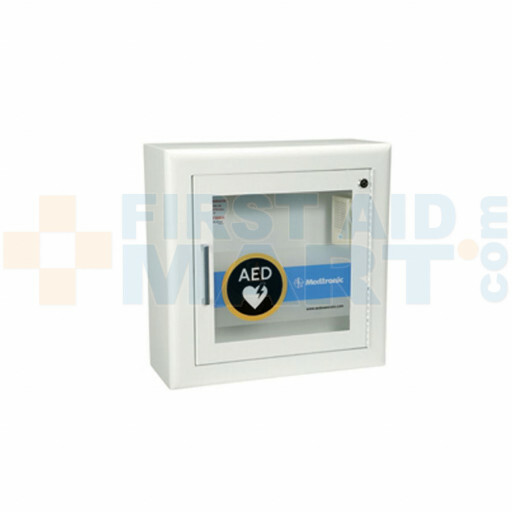 Physio-Control-Convenient Wall Mountable Cabinet for AED Storage-Equipped with a security alarm. 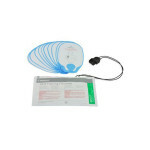 Made for placement of a Physio-Control AED. 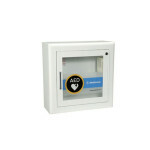 Glass-front wall cabinet keeps the AED visible yet protected. 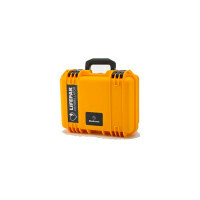 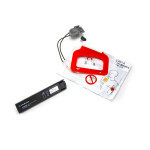 Equipped with a standard alarm that can be armed or disarmed with key lock. It can also be fitted with magnetic contacts and lead wires to tie into most low voltage fire and/or security systems. 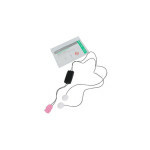 AED Wall Placard and CPR/AED Wall Poster included. 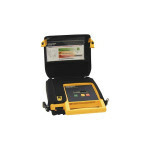 Physio-Control Automated External Defibrillator Wall Cabinet with Alarm - 11220-000079.